With spring officially here, so suddenly you have a reason to go running outside again (if you ever needed one). All the top brands acknowledged this by launching their hottest trainers this week – including the relaunch some childhood hero´s and other legendary classics. 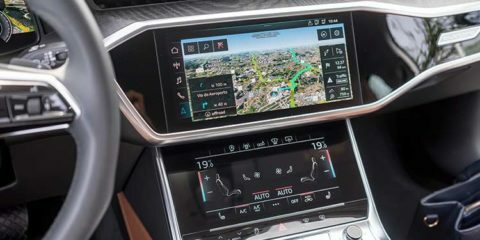 Here is what you should be investing in this season. 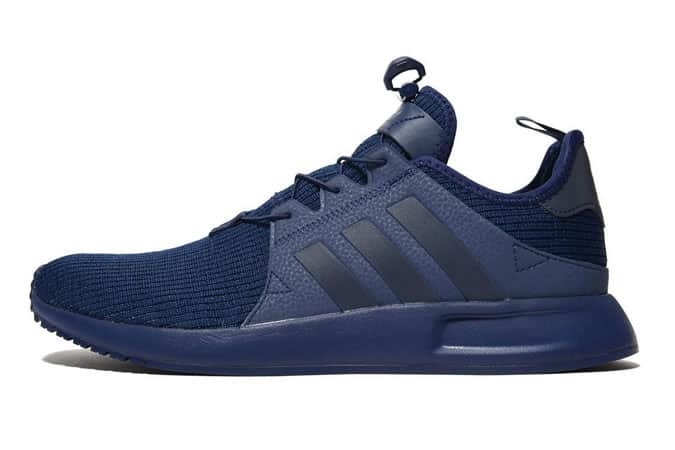 Also known as the indolent man’s NMD, Adidas’ XPLR model gets one up on its not-too-far-removed cousin thanks to an innovative lacing system that uses elasticated rope tightened and loosened with a toggle pull. Add to that a breathable knitted mesh upper, leather overlays and cushioned midsole and you’re left with a winning combination. Available from JD Sports, priced at £70. This is the first official partnership in Reebok’s ‘Year of fitness’ campaign, the sportswear brand has teamed up with legendary Tokyo sneaker retailer Mita to update the Workout Low. 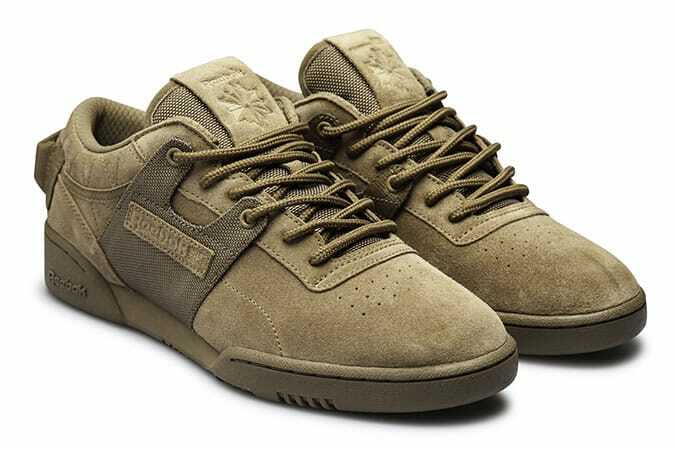 The classic cross-trainer has gained a military-inspired vibe, having lifted its brown suede and canvas body and grab-handle heel tabs directly from the rugged combat boot. Available from Hanon, priced at £95. 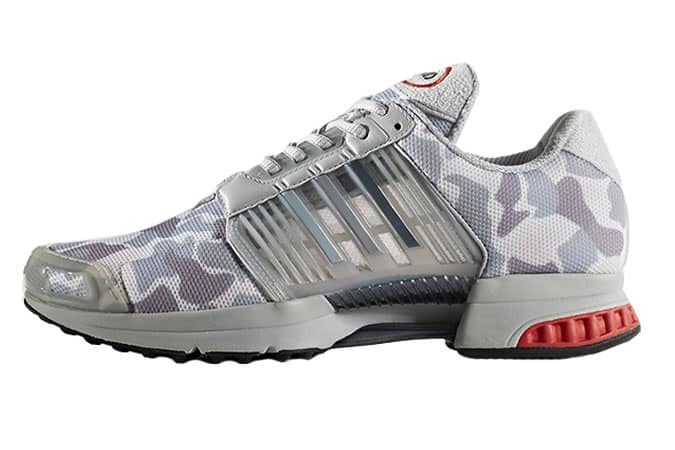 This model was adapted from the legendary running model of the early 2000´s, the Adidas Climacool is back for SS17 with a very modern update. Built to keep feet fresh, in addition to 360 ventilation vents, heat-regulating stretch web mesh covers the uppers for a truly wind-between-your-toes feeling. Available from Adidas, priced at £95. 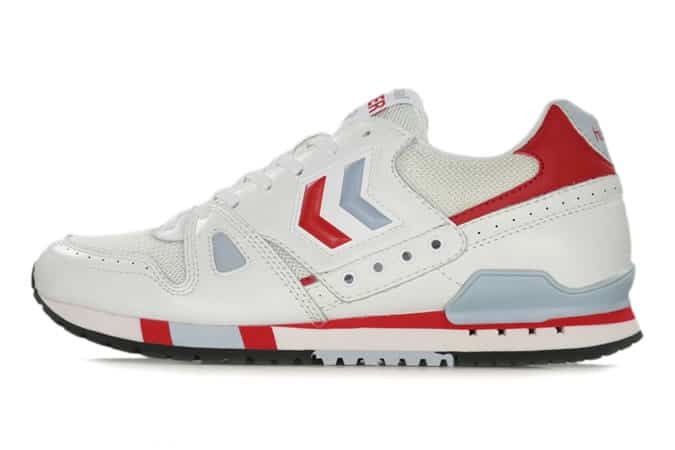 Hummel aren’t exactly known for a stellar sneaker standing, yet these tasty kicks are on par with bacon. First released in 1983, the Danish Marathona OG channels on-track performance and retro appeal in equal measure with a breathable mesh upper and classic colour combo. Available from Hanon, priced at £109. 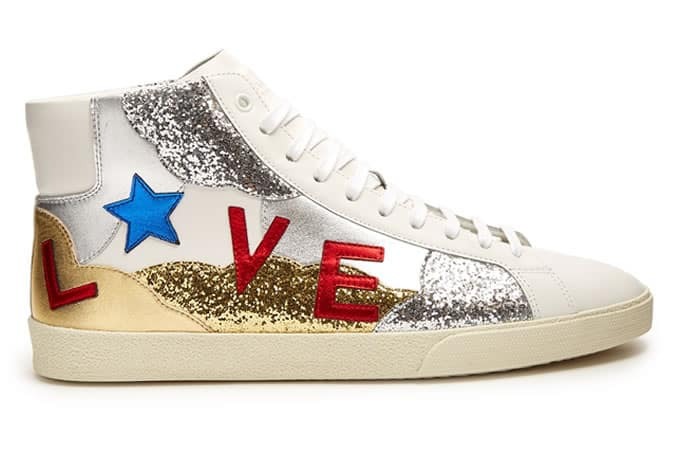 Inspired by the jazzy cards the house’s founder would send to clients, these Saint Laurent white leather Court Classic trainers go babes in toy land glam in the best possible way. The sleek high-top shape, textured-rubber sole and glitter panels are guaranteed to garner attention – which is a small pay off for having to skip a few meals to afford them. Available from Matches Fashion, priced at £685. 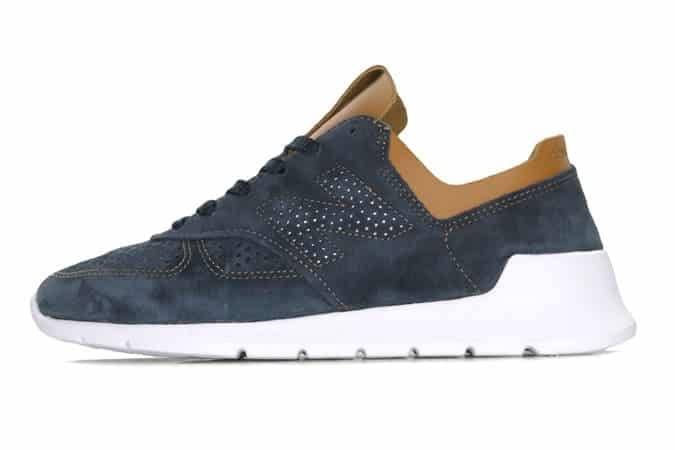 New Balance’s all-new Made 1978 model may have only been two years in the making but it’s the result of decades of design know-how. Drawing inspiration from the classic 990 model that debuted in 1978, the low-top lifestyle runner packs in panels of high-quality leather and suede and a perforated toe box on top of a Vibram sole unit. Available from Hanon, priced at £149. 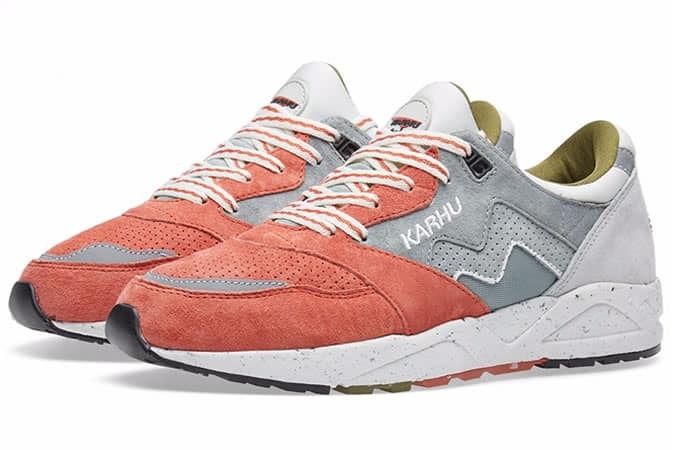 The old-school hero of the sneaker world, Finnish brand Karhu lays claim to a number of firsts, including originating the three stripes logo (which it later sold to Adidas) and inventing air cushioning. Jumping on the appetite for retro trainers, the 100-year-old running veteran has reissued its 1990s Aria model, updated with premium pigskin suede. Available from End, priced at £99. The trainer in the room everyone is talking about. 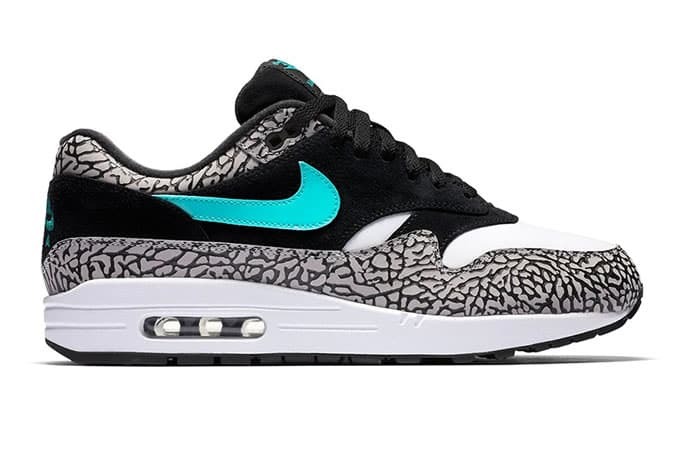 Ten years after its launch and 12 months after being crowned one of the most sought-after sneakers of all time, Nike is bringing back the Atmos x Air Max 1. Staying true to the OG design, the safari textured uppers return with striking jade accents to the tongue, heel and patent leather swoosh. 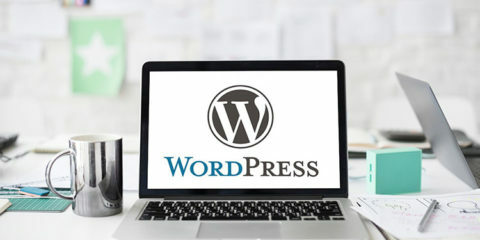 Available from End, priced at £109.